Amid the drama around CBI's raid and Rajeev Kumar's questioning, and the din created by blames and counter-blames by the politicians, one should not forget the people whose lives have been completely destroyed by the Saradha, Rose Valley and other chit fund scams. Mamata Banerjee's Bengal is in a mess. The chit fund scam has destroyed lives, wiped out a lifetime of savings and broken families asunder. The political class keeps on bickering and trying to wash its hands off the taint, but talk to those that have been hit by the Saradhas and the Rose Valleys and the havoc they have caused becomes clear. Raquib Sardar dreads Sundays. The 33-year-old from Bansra village in South 24 Parganas had been an agent for Saradha and had invested money in the chit fund as well. The owner of a small pan shop, Raquib had links with some other chit fund companies. "I had borrowed Rs 9 lakh from friends, relatives and neighbours. I had even taken the Rs 50 lakh that my father had saved. I put all the money into Saradha. But after the company shut down, I have been running like a scalded dog," Raquib tells The Indian Express. 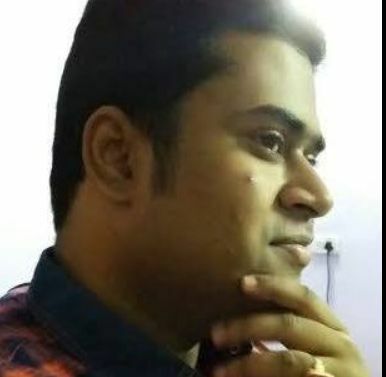 After the Saradha scam came out into the open in 2013, Raquib has been running from one place to another, leaving his house in the wee hours and returning well past midnight, spending some nights at railway stations, taking shelter with friends at other times. Raquib lives in constant fear as depositors still storm his house, abuse his parents and wife. He says he had paid many of them out of his own pocket, but having been a Saradha agent, he is targeted by the depositors, who perhaps don't realise that Raquib has been as much a victim of fraud as themselves. Chit funds started to mushroom in Bengal from around 2008 when the Left Front was still in power. Slowly, they spread to the neighbouring states of Bihar, Jharkhand, Assam, Tripura and Odisha. They received wind in their sails after Mamata took over as the chief minister of Bengal in 2011, with many members of her party being hand-in-glove with the fraudsters. Not just that, the Saradha kingpins Sudipto Sen and Debjani Mukherjee, and those of other spurious schemes were facilitated and nurtured by the Mamata regime. They duped thousands of people with the promise of doubling their money in a short span of time. The chit fund bubble burst in 2013 and the Central Bureau of Investigation (CBI) took over the probe under the Supreme Court's direction. Trinamool Congress MPs Kunal Ghosh, who was the CEO of the TMC-leaning Channel 10 and editor of Bengali dailies Sangbad Pratidin and Sakalbela at that time, Srinjoy Basu, and the then state transport minister Madan Mitra were arrested, but later released on bail. There is no exact estimate of how much has been lost to the chit fund scams, but the CBI and Enforcement Directorate (ED) believe that Rs 2,460 crore and Rs 30 crore has been lost in the Saradha and Rose Valley scams respectively. Six cases are sub judice in the Supreme Court and as many as 148 in the Calcutta high court. On February 3, the Saradha scam came back into the limelight, when a CBI team that went to interrogate Kolkata police commissioner Rajeev Kumar was detained by the Kolkata Police. Mamata sat on a dharna in protest, along with the police chief and other prominent Indian Police Service (IPS) officers of the state. The Central Reserve Police Force (CRPF) took position outside the CBI office in the city. The Centre approached the apex court, which ruled that Kumar would not be arrested, but can be questioned in Shillong. The CBI has started interrogating Kumar in relation with the Saradha scam. However, away from the drama, the Saradha victims are still in a precarious state. Raquib's uncle, the 67-year-old Qurban Ali Molla was an agent of Saradha, and hung himself when the scandal was exposed. Raquib's son had to drop out of school. "My uncle had taken the easy way out, but I have a son to look after... I had tried to commit suicide many a time, but could not muster the courage," Raquib says. In Nabapally village of the district of South 24 Parganas, Ismail Molla says the depositors who had invested money through him have forcefully taken over his two-bigha land. The villagers have been chasing him and his family since the chit fund company shut shop. His father fled to Mumbai, but committed suicide. The chit fund scam has led to Raima Bibi's separation from her husband, according to the Express report. Her neighbour in Shakuntala village, Khaon Ali Sardar, had invested Rs 40,000 in Saradha, and was promised Rs 1 lakh in five years. He did not get the money, and what's worse, lost what he had invested and also his land. His brothers also lost their lands and money. Sardar has to feed a family of six and had no other option but to mortage his two-bigha land. Niranjan Hajra, from Ghatakpukur Bazar in South 24 Parganas, also has a similar tale to tell. He had lost Rs 3,600 in the Saradha and Rs 7,800 in Alchemist Group scams. There have been some attempts to retrieve the money lost by the depositors. Subir Dey, who is an office-bearer of the Depositor and Agent Security Committee says 234 chit funds are running in Bengal currently. The Calcutta high court had formed a committee and auctioned off the properties of 54 companies to return the depositors' money, but it has not been easy because firstly, it is very difficult to ascertain who the owners of these properties are and two, there are not many buyers for these toxic properties. Appeals to the chief minister have fallen on deaf ears. The police also pass the buck, saying the CBI is looking after the case. Retired Justice Shyamal Sen, whom the Bengal government had tasked with overseeing the retrieval of money lost in chit fund scams in 2015, says he had presented a detailed report to the chief minister. TMC leaders have been blaming the Narendra Modi government for raking up the Saradha issue with the general election in mind. 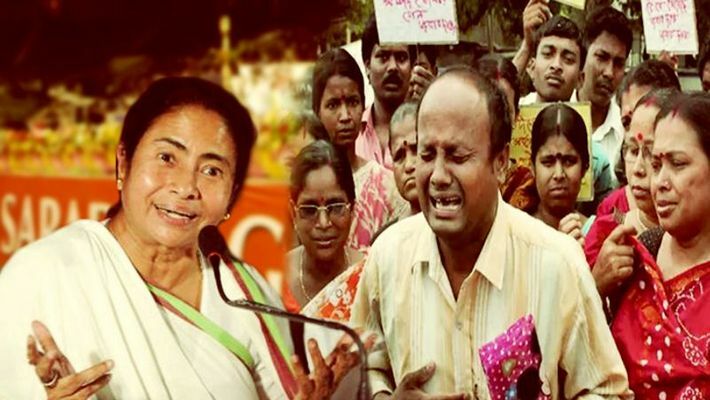 They are hoping that Mamata will emerge as the kingmaker after the Lok Sabha polls that are only a couple of months away. The BJP, on the other hand, has resolved to get back the money lost by the depositors and is preparing a list of all those who have been hit by the scam. BJP leaders and workers at the grassroots are banking on social media (like WhatsApp groups) to mobilise support in this drive. The Saradha victims, meanwhile, continue to struggle. Basumati Patra of Burdwan had invested all her savings of Rs 2 lakh, but now her children have had to discontinue their studies and her husband has no job. She is somehow able to make the ends meet for her family by selling sarees door-to-door. Bandana Ray, on the other hand, had to sell her house to pay depositors, who had threatened to burn down her house. She says she had written many times to the chief minister, but got no relief. Retired Army Havildar Narayan Mondal had invested the money he got after retirement in chit funds, but is left with no money now, reports the Express. He is at his wit's end, trying to figure out how he can take care of his wife and unemployed son. Anukul Majumder similarly had invested Rs 70,000 in a chit fund in the hope of getting back Rs 1.4 lakh. He didn't get any money back and is now neck-deep in debt trying to look after his cancer-stricken wife. Amid the drama around CBI's raid and Rajeev Kumar's questioning, and the din created by blames and counter-blames by the politicians, one should not forget the people whose lives have been completely destroyed by the chit fund scam. Bringing the culprits to justice would perhaps give them some sense of closure, but even that would be precious little. The Raquibs, Raimas, Basumatis and Qurbans have lost what can't necessarily be returned to them, even if the money they lost is retrieved. They have lost honour, peace of mind and family members. A photo, therefore, used with this story is shockingly symbolic — it is a collage of Mamata laughing almost mockingly and Saradha victims shedding tears. That really encapsulates the reality.